Barnsley ‹ Series 7 ‹ Flog It! Valuing heirlooms and antiques in Barnsley are experts Michael Baggott and Philip Serrell. Paul Martin visits local artist Graham Ibbeson to find out about his sculptures. Browse content similar to Barnsley. Check below for episodes and series from the same categories and more! -Today, we've come up north, and you can tell. "Judge us by our actions." but sadly, they're not around today. which should serve us well. We're here at the Metrodome. by their actions when we get to the sale room. So, let's hope they get their valuations right. So, Barry, enjoy a drink? All in one glass, yeah. -Where'd you get these from? -You're a man of generosity, aren't you? -And you beat him down? -That's the Yorkshire man in me. Do you have Horlicks to make you sleep at night? Did you buy them because you thought they were cheap or because they were nice? Plus, I knew they were a give-away at £6. Well, they were at eight as well. Where do you think they were made? that could well be Copeland. -They're certainly English. What date do you reckon? Spot on. Absolutely spot on, and I think they're great. They would have been used... probably in a wine merchants. Possibly even in a big country house, in the wine cellar. They would have been hanging on the barrels. And you can just see the remains here, and it is very, very faded. which vineyard it came from. And these would have been annexed to each barrel. -that we can put £40-£60 estimate on them all day long. I think we can reserve them at £30. -I think that's a real come-buy-me estimate. they might just go and make £100. -So you'd be pleased with that? Definitely, yeah. I've a wife and eight kids, so I need some money. -Don't need to ask what your hobby is, then. -as to what the difference between port, sherry and claret is? Valerie, you don't often see things like this, do you? Can you tell me where you got it from? he were a big gardener. And he had allotment, which is built on now. and he struck something. And he thinks, "Is it a rock?" that come out of ground. with water with lemon in. And that's the result, and it's not been touched since. It's been put in a hut and passed from pillar to post. Nobody wanted it. and I said, "I know what I'm going to do." ..to get the allotment vase out and see what it is. Right. Well, as you rightly say, it is half a vase. This is all beautiful cast bronze. that someone's put it on. -It's what I would say was a homemade repair...a restoration. Any ideas of how old it is? Well, I've been told its Grecian. In our mind, we're thinking it's at least 150 years old. -it would be 4,000 years old. What this is, is Greek revival. is rather chunky and hefty and less delicate. -So we've got these very thick, chunky handles. And those, to me, are absolutely 1820, 1830. Apart from saying that it's either English or French, I can't be any more specific than that. would have been the base. What it is, as it stands, is half a good vase. What's a sack of potatoes now? -Cos that would have been the alternative. -and it's going to take somebody's eye at maybe £40. -..at an estimate of £40-£60 and see where it goes. and they go, "At last!" Splendid. Well, we'll put it into the auction and keep our fingers crossed. Hello, I had to sit next to you, because I've seen plenty of these. -We've talked about them on Flog It! before. What's your name? -It's a South African name. Oh, how beautiful! Narina, very nice. I've never heard that before. There's always a first on "Flog It!" Right, look at this little tiny symphonium. Well, when she passed away. Gosh, look at this. It's a portable CD player of the day, isn't it? Isn't it lovely? A table-top one. You can take it on a picnic, that's what it was all about. -Go on, wind it up. All you do is pull this. Yeah. Well, it is clockwork. That just winds it up, doesn't it? on these little thin sheets of steel of your favourite tune. It is! It's just like buying a little record, isn't it? These are highly collectable. Very, very collectable. The box is a bit tatty, but it does say symphonium on it. you're going to get around about... I'd say, £200-£300. -Why do you want to sell it, though? I don't think the children will want it when we've gone. Something like this, kids won't want. -Where it's been for a long time. for another 40-odd years, they might learn to appreciate it. -Who am I talking to here? Your daughter? I never knew that. You didn't tell me that. Can we flog your inheritance? Yes, if anyone wants it. -Lindsey. Now, do you like this? Probably just the history of it. -Would you like to keep it? Would you, would you not? We're going to get a sale, are we? -No, I think she should sell it. Would you like to flog it? Let's do it then. -a fixed reserve of £170. It's a deal. Put it there. Eric, you brought along a bar tariff, which is good for me, hey? "Lindrick Gold Club, Ryder Cup, September to October, 1957." Do you know the first thing that interests me on here? -It's the prize of booze. -Yeah, it's lovely, i'nt it? A bottle of Veuve Clicquot champagne - 35 shillings. A double whiskey, five shillings - 25 pence. of most of both teams for the Ryder Cup that year. Why have you got this, then? It was given to me by my father. He was a wine waiter, I believe, or something of that nature, with a company called Porter Rights. and spirits for that particular event. to get the signatures of the teams. -Peter Alliss clearly is a great golf commentator. -it was at Lindrick Golf Club? -so I wouldn't know that. and he financed the Ryder Cup team in 1957, to the tune of £10,000. -That's like millions of pounds he's given them, in today's terms. -It's a lot of money for that. to play against the United States, and he chose the venue. I think it's a really lovely thing. You want to know what it's worth, don't you? -That would be nice, yes, please. there's a very fair chance that that one's worth a fiver. It's comparison. I've never seen anything like this at all. -I think we can put an estimate on this of £100-£200. OK? and the story behind it, and the fact that we're in Yorkshire to sell it. and I would hope that it would do very, very well. Let's just hope that they pitch up at the auction and start bidding for it. Well, that was really interesting, and do you know what? I can't wait to see what it goes for. In fact, I don't have to wait any longer. It's now time to flog it! 'for his wine cellar labels. 'Imagine digging up this bronze vase. 'when it goes under the hammer. 'Another unwanted treasure... Someone at auction must want this symphonium. 'It's such an entertaining item. 'And finally, Eric's signed bar tariff is unique. here at ELR Auction Rooms in the heart of Sheffield. And the man holding court today, with the gavel, is auctioneer Robert Lee. let's ask him to judge one of our items. -which is not far away from here. -Just down the road, yeah, not far from Worksop. And Eric's father was a wine waiter. -So he was in the right place at the right time. And he's got all the signatures. We've got a valuation of £100-£200, for this little card. I think it certainly should be doing 150, £200, no problem. apart from Tiger Woods, cos he's always on the telly at the moment. that will get the top end, as you say. -Golf memorabilia is big business. They spend a fortune on playing golf. Your husband dug this up, didn't he? Or was it the father-in-law? -In a patch of potatoes. I think that's a classic find. Well, it's the cheapest way to acquire antiques, isn't it? Will we get the top end? and the base is a replacement. But I think it's perfect if somebody wants it for their garden. -So this really is time to get rid of, isn't it? Well, let's hope we get you the top end of Michael's estimate. Good luck. Early 19th century, Greek revival bronze urn. £100 for it? It has all gone quiet. £50 for it? Let's start at the bottom. We've got 30, can we see 32? Can we see £32 in the room? 42, is it? Looking for 45. New bidder, 48? -Telephone bidding. I didn't expect that. -Brilliant. Well done, Michael, spot on. if you wanted to stick it outside. Yes, I just hope the poor chap on the phone can pick it up. Cos the postage on it... It weighs a ton! Going to cost you £300. -Well, you got rid of. That's the best thing, isn't it? Mum's 80 in February, so it'll do for a do...a birthday do. Ah, wonderful. A birthday do. -Proper knees-up for Mum, who's 80 years old. And her boyfriend as well, 80. -Narina and Lindsey, good luck. Let's make some music, let's get those discs spinning. I haven't had a chat to the auctioneer. cos he agrees with my valuation. Otherwise, if I'd undervalued it, he'd have said, "Paul..."
..bring me aside and said, "I think you got it a bit wrong." In which case, I'd tell you now. But he said nothing. So fingers crossed, it's on the money, two-three. -We're going to find out. Late 19th-century German symphonium, together with the discs. Don't forget them. Forced to start the bidding at £200. in the room. Let's have 210, discs included. With me at 200 only. -by somebody that couldn't be in the auction room. Unfortunately, there was nobody in the room to bid against that guy. He may have left more than 200, in which case someone in the room would have bid him up. and a little bit for me and my husband. -What about a little bit this way? -All of it this way. Right, here's a one-off for you. How do you put a price on this one? Well, someone did, and it was our expert, Philip. he was in the right place at the right time, wasn't he? -He was a wine waiter. I think there'll be a lot of local interest on this. It's been advertised, and it's on the internet. Those things will ensure that it finds its level. then you're gambling. I don't see that as being the case. -It might make hundreds of pounds, but we'll find out. Golfing memorabilia is big business. We've seen it before on the show. Peter Alliss, Tommy Bolt, Peter Mills and others. The bidding has started at £100. Let's have 110. Let's have 110 for it, let's have 110. Anybody for 140? I'm out, and I'm too soon to be out. Feel like I'm giving this away. Anybody else for 140? 140, 150. All done at 140? Hammer's dropping. You're right. I mean, estimate... great, great valuation. you put it to auction. That will tell you what the value is, and we've just witnessed that. -and it's made what's it worth. Very happy with that, yes. No problem at all. OK. What will you put that money towards? -It's a trip to Nepal for my son, Andrew. so that'll go towards his trip there. That'll be towards that. Ah, trip of a lifetime. Tell him to take a camera. We could be in for a little surprise now. Just been joined by Barry - I have Philip, our valuer. -which you picked up for, how much? Remind us all. We could do £150, if there's two buyers that like these right now. -I think... Let's just hope we have some spirited bidding. And I think each little label could be worth £30-£40 each. -I think they'll do £100. There's a good crowd here, a good crowd of people here. -So they'll make what they're worth. -Yup. I'm hoping for 150. -You know what Philip wants, let's find out. -We know what I want. Let's find out what this lot want. We've got a packed auction room. Let's see some hands go up in the air. together with two circular numbered bin discs. -there's lots of interest on the commissions. -I'm forced to start them at 140. I'll take 150, from somebody in the room. 150, is it? -With me at 140, 150. I'm out. Looking for 160? 150 at the top. Still cheap. Finally, at 150. Have we finished? Yes, hammer's gone down. £150. great eyes for spotting a bargain at a car boot sale. Over the years, both the great and the good have been immortalised in bronze. figurative sculpture can look serious and austere. But the man who produced this piece is producing works in a rather different vein. and certainly looks on the funnier side of life. what makes the man behind these comic sculptures really tick. Graham, it's so good to meet the man behind the sculpture. 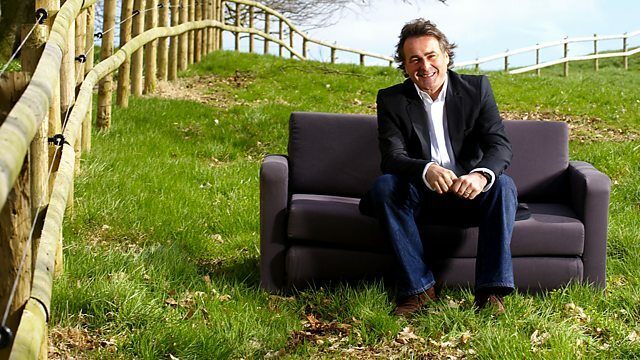 quite a few times, when we've been filming "Flog It!" and there was one other, which is, of course, this guy, outside Rugby School. William Webb Ellis, yeah, yeah. Big lad. Where did it all start? You are a trained artist, aren't you? I went to art school and I was basically good at drawing. And this old Polish tutor got me to kind of, make sculpture. He saw my drawings and just said they looked very three-dimensional. And he steered me that way. -What about other sculptors that have inspired you as a young lad? My work's almost like illustration. Dandy and Beano, Bamford seaside postcards. All that stuff. So I come from a different angle. I mean, I really don't know what fine art's about. -I'd rather people go into a gallery and titter. -"Oh, what's that all about?" Yeah, so deep. But my work is accessible. -Because of who sees it. You know, a kid in the street, or some kind of intellectual. Everybody can enjoy it, on different levels. What came first, the comedy or the serious ones? Well, I had to learn my craft to abuse it. It's a bit like Les Dawson. Les Dawson looks like he plays the piano badly. But he is a kind of virtuoso piano player. One of the little bronzes outside caught my eye. It's the little Buddha with goggles on. I come from a kind of council house estate. And I liked the idea of a guardian angel. So, I made a guardian Buddha, angel, little god. he's got goggles, he's got medals from his past deeds. And I've called it The Head Of The Little Barnsley Buddha. You know, like, "Come here, you little Buddha." So, there's all that gag, but it's quite serious. I've used bronze, I've used, kind of other, other elements. But it's still a gag. They really do make you laugh. You just have to stop and admire them. You just fall over with laughter. It's part of the fun of making it. It's part of the enjoyment of seeing the work. but she doesn't know that she's got a crab hanging from her backside. You know, she's at the seaside in Bridlington. I wanted to call it, Girl With Crabs, and my wife said, "You...!" So, I called it North Sea Nippers. so Him up there, or Her up there, has sent her back down. So, she's got the bottom lip. So, it's just Down to Earth. So, it leads people in, the title's funny. And I like the innocence of kids. In a way, I'm kind of a naive optimist. Graham's positive, light-hearted approach to his work is clearly evident. He even draws inspiration from his own childhood innocence. There's one called The Grimethorpe Flyer. Fair Isle jumper, long shorts, S belt. It's me as a child, trying to escape the village of Grimethorpe. So, that's very important to me. Another piece, that's a bit of a departure for me, it's Big Mother. What it is, is a mincing machine that I've adapted to the shape of a woman. There's a handle and little babies come popping out. she was heavily pregnant, and I asked her why. She says well, you know, like, "It's ridiculing pregnant women." I said, "It's kind of making the men redundant. Don't you like that?" She says, "Oh, I like that element but it's probably a man who's turning the handle." and possibly most loved, is that of Eric Morecombe. The original takes pride of place in Morecombe Bay. It was fifteen years after Eric's death that the sculpture was unveiled. But I'd been involved for six years. So, I had to come up with a pose of Eric doing the Sunshine dance. What I do is try to get the spirit of the man. When Eric's widow came down here to look at it, I'd been six years. And this were the one moment I was dreading. and she says, "That's Eric, Graham." "Go and get the kettle on." And I tell you, I just... Unbelievable! The image is just so right, it's so perfect. and my sculpture's about life. It is really about life. Are you going to do a living person soon? Yeah, I am doing Dickie Bird, actually. what I'm doing with the cricket jumpers round and everything else. So, it's going to be an affectionate portrait. And he's alive, so I can measure him. -You can get him here. -I have to be quick, he's 75. Let's just talk about William Webb Ellis, for a moment. Imagine you get the commission. What goes through your mind first? Do you do a sketch or do you do a small study? Well, this is the kind of maquette. It's what we call a maquette, which is a three dimensional sketch. It hasn't got to be seen as a replica. You know, this is not exactly what the sculpture is going to look like. It's to work out the pose. -It's basically a quick study. to when you finished that, how long did that take? Well, not all that long. Maybe two month to make the figure. It's a lot of work though, isn't it? It's a lot of work, and you've got clients coming up and looking. If you're doing a running figure, how do you capture that? You've got to move it around and make it work for you. Are you very critical of your work? Any artist worth their salt should be. It's a curse and a gift. I cannot put the modelling tools down. You're giving so many thousands out there so much joy and happiness. -You are bringing them sunshine. Thank you very much. who also have something to smile about. -Judith and Doris, how are you both, all right? got a watercolour from Surrey, and a watercolour from Hampshire? Because they're my sister in law's. -So, you brought them here for her today? Unfortunately she's disabled, so she can't get herself. from her grandmother, to her mother, and eventually to her. So, Janet, your sister-in-law, doesn't like these? She loves them? So, why is she selling them? Her mother was an antiques dealer. And she's had to go into a home. Unfortunately, Janet's inherited rather a lot of the antiques. -So, basically, something's got to go. -I do. I think they're pretty. They're a bit out of grace and favour at the moment. Do you think that's because that's the way it's been painted? No, I think it's because it's faded. It's been in the sun. Can't tell you much, Doris, can I, eh? I think you're spot on. And if you just have a look at this one here, look. And that looks as though it's been in the damp. Do you want to come and sit here? You're spot on. This has been in the damp. There's nothing much you can do about that, other than repainting it. -almost the same colour as the trees, aren't they? It's a real shame, because they're lovely pictures. You've got this shepherd and shepherdess. It's signed here by the artist, Fred Hines. through to the first, sort of, ten, 20 years of the 20th century. -It's quite simple to value something in good order, right? But when you've got to start valuing something in bad order, right? And really, I mean, that does just hit you, doesn't it? Yeah, it does spoil, yes. at a price that is almost, "Come and buy me." That makes them attractive to someone in the sale room. I think that you should estimate them at between £100-£200 for the two. I think you should put a fixed reserve on the two at £80, all right? On that basis, do you think Janet would be happy to sell them? -Well, yes, they do want to get them out of the way. I mean, we've sort of crammed everything in every nook and cranny we could, haven't we? really does, sort of captivate a bit of interest. Somebody might say, "Yes, they are pretty, I like them and I'll buy." Let's keep our fingers crossed and hope they do well. I'd love them to do well for you. It's majolica, it's from Stoke on Trent, from the potteries. Caroline, tell me about it? As far as we know, it's come down through the family. and passed it down through the family. -Really? So, you've inherited this? -OK, yeah, it's got to go. You need the money. -Yeah. Do you like it? -I don't like it at all, unfortunately. It makes it easier to sell if you don't like it, doesn't it? I can appreciate the works of it, but it wouldn't suit my house. -It's a strawberry dish, or a strawberry bowl. -This one dates to around about 1870, 1880.
and so fashionable as a centre piece during the day. It's so typical of majolica. as you can see, blues, greens and pinks. George Jones always initialled his wares. What he modelled, he initialled, with a G and a J. Which he would have signed, right up until 1873. Now, unfortunately, that's not on the base. -Nevertheless, it still would be catalogued as George Jones. -If you could trace those numbers, do you see those serial numbers? -But I'm pretty sure our auctioneer in Sheffield is going to catalogue that as George Jones majolica. through the legs and underneath the strawberry leaf. It's a lovely example of a strawberry bowl. Value wise, can I... I'm going to upset you now, Caroline. -Because this has peaked. It peaked a couple of years ago. If it was absolutely in mint condition, in its heyday, couple of years ago... £3,000. But I can point out the damage, look, there's some damage on the foot there. And look at the wing tips, you see that? There's only one wing that's survived. we'd be quite safe to say £500-£800. Goodness me, yeah, very. That would be fantastic. -And the money's going to come in very, very handy. Tricia, thank you for bringing this beautiful little ring in. I mean, it is little. Is it something that you have ever worn? -I've only put it on my small finger a couple of times, because it is so small. It was passed down to me through my mother's side, by one of her aunts. but I'm not sure how old it is, or how much it's worth. No, well, she must have had the smallest hands in the world. There is a faint mark on it, which is probably going to be nine or 18 carat. which is NK and the date 25. Which is probably part of an inscription, but unfortunately the rest has worn away. But the nice thing about it are these three lovely diamonds. And it's a typical ring that you will find anywhere from about 1910, up to about 1920, 1925. Where you have five and three stones. It was fashionable for the period. And even though the ring itself is very small, the diamonds are quite sizeable. You've got about a quarter of a carat on these two small stones, and the central one's just over. So, you've got about three quarters of a carat of diamonds. So, that's quite nice. Have you ever had it valued before? -I've had it in a drawer for 30 years. Well, you know, the small size, isn't it? someone will size it and it will fit on a larger finger. But that's always a tricky and expensive process to do. Good thing is that diamonds are really popular at the moment. And people don't seem to be able to get enough of it. I think it's bling, is what they call it. They have a thing for bling, and this certainly is. -At auction, I think we'd put it in at £400-£600. And we'd probably have a shade of discretion on the reserve, but not a great deal. Probably sort of 10%. It should do really well because it's flavour of the month at the moment. If you're happy to put it into auction, we'll do that. But why have you decided to sell it now? Well, my daughter's moved to Australia, and I'd love to go and visit her. She's moved out there, so it would go towards that. -Which would be more use than sitting in a drawer. -if not all the way to Australia. Thank you so much for bringing it in. Well, it's time to pay another visit to the auction room. Will the signed watercolours be let down by the fact that they're not local scenes? Majolica's not really my thing, but I can certainly appreciate the quality of this piece. I've a feeling it's going to do great things at the sale. And finally, another true quality item. Tricia's diamond ring is a real gem, with an estimate of £400-£600. Something for all you fine art lovers. Two watercolours, it's Hampshire and Surrey, brought in by Judith and Doris here. And, I've got to say, Doris, you look stunning. -You really do. It's good to see you again. Oh, it doesn't do, does it? Have to blame Philip. He's roped you in on this. I really like them. They're a long way from home. I wish we were down in Surrey. You'd make a bit more money. Art travels well, so fingers crossed. Fred Hines, a pair, signed, quality. The bidding has started at 60, we'll start at the bottom. 65, 70, 5, 80, 5, must be 90 elsewhere? Must be 90. 90, 5, 100. Anybody else for 140? Get your bids in quick. All done at 130. Bid now or lose them. Yes! £130, Judith, that is fantastic. Whose were they, by the way? -Well, my sister in law's. So, we brought them to the auction for her. -Ah, and what's her name? Janet. Well, Janet, I hope you're watching right now. There's £130 coming your way. Right now, something for the ladies. We've got a diamond ring. It belongs to Tricia - hopefully for not much longer. I rate it. It's a nice ring. If you had to buy it in a shop, it would be £700-£800. It's good value for somebody and we have got discretion on the reserve. -So, hopefully, we'll do it. -Tricia, why are you selling this? -Are you wearing diamonds right now? You are. -It's not really what I would wear. -OK, not a sad moment, then? brilliant cut stones in a claw setting. £300 is your start price. Anybody fancy 320? 320 I'm looking for. You can alter the size. 345 but I've got to go 350. It's going to be 360 now. Got to be 360, it's on reserve. With me at 350. All done with me at 350. Oh! What are you going to do? The person in the room seemed really interested around our reserve figure. -The auctioneer can do something with him. He might come to the auctioneer and say, could you sell it to me for 345? -And it's as good as selling it for 360. If he's not interested, don't re-enter it into another sale here. -Because it's done the rounds. People would have seen it. Hang onto it for six months, put it in a different saleroom. This is what's up next. And it's made the front page of the catalogue, Caroline. The George Jones majolica strawberry dish. -I'm feeling a bit nervous, aren't you? Starting to wobble, but this is what auctions are all about. If you've never experienced an auction, you've got to go for the thrill. -Now, we've got £500-£800 on this. -Condition's against it. But some people might not be put off. The 19th century majolica strawberry dish, by George Jones. Be aware of the condition but it's still a beauty. Major interest on the commissions force me to start this lot at £820. It's got to do four figures now, hasn't it? Come on. I'm out. Anybody else for 980? Isn't that a good sound? -It's a nice feeling, isn't it? -Who are you with here? Got some moral support? -Yes, my dad and my step mum. -Where are they, over there? -Waving like mad. Well, they'll look after you. What are you going to put £950 towards? Oh, a holiday for my daughter and then the rest in the bank, I think. Thank you. That's what it's all about. I hope you've enjoyed watching today's show. bring it along to a valuation day and we'll see you on Flog It! Barnsley is the destination this time. Valuing the heirlooms and antiques are experts Michael Baggott and Philip Serrell, while presenter Paul Martin pays a visit to local artist Graham Ibbeson to find out more about his unique sculptures.